Trump Posts Special Video on Independence Day, Went Viral Instantly! Contrary to how our President is portrayed in the media. Actions speak louder than degrading words. President Trump truly loves our great Country and the Vets who sacrificed their lives, for our Country and honors them in a way that brings them the utmost honor for their sacrifice, being recognized by the President!! He is a true leader with a wonderful heart. 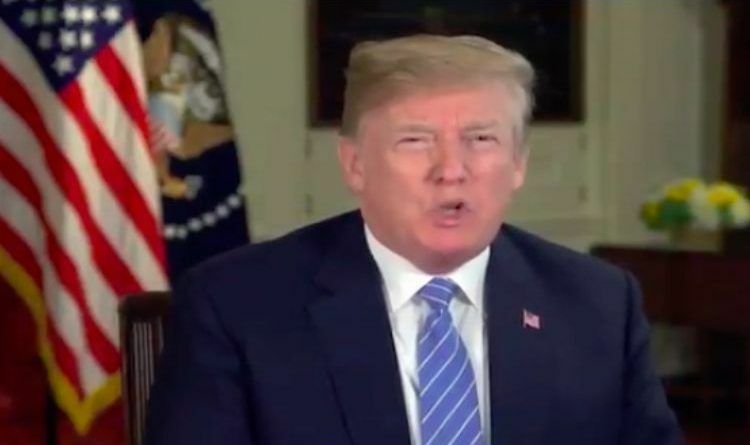 President Trump took to Twitter on Wednesday morning to post a video, in which he wished the American people a happy Independence Day. In doing so, the ex-Celebrity Apprentice host gave a brief history lesson, emphasizing the United States’ victory over Great Britain in the Revolutionary War hundreds of years ago. God Bless America, President and Mrs. Trump for their courage to stand up for what is right! And God Bless all Americans, especially those who served this country in war and in peace. Happy Birthday, America!